T-Series JA Entertainment and Emmay Entertainment have come together to produce 6 films by various directors. 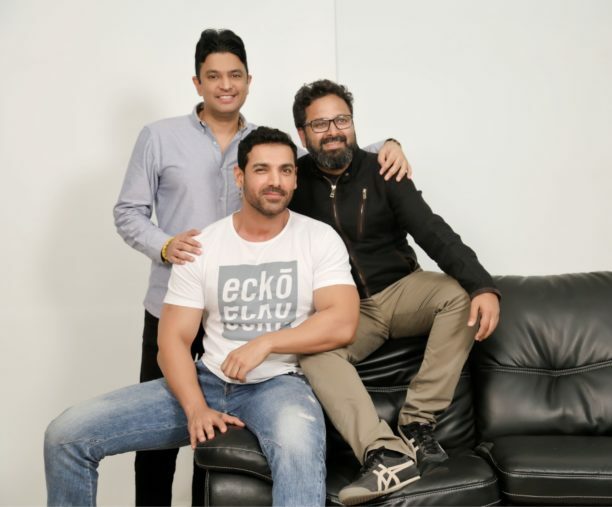 The first of this deal is a film starring John Abraham, directed by Nikkhil Advani goes on floors in November 2019 and will be shot over 3 months in Kolkata. Eyeing for a Mid 2020 release the film will be produced by Bhushan Kumar’s T-Series, John Abraham’s JA Entertainment and Monisha Advani, Madhu Bhojwani & Nikkhil Advani’s Emmay Entertainment. For over five years John Abraham has been living with a dream. An avid football enthusiast whose owns his own team, NorthEast United FC, the actor has been waiting to bring one of India’s most historic matches to the screen, dating back to 1911. John Abraham will be playing the role of Shibdas Bhaduri, who captained the side. The Mohan Bagan Athletic Club was established in 1889 by three well-known aristocratic Bengali families in North Kolkata. The team won its first trophy only 15 years later but under their coach, Sailen Basu, quickly rose in the ranks. In 1911, it was invited to take part in the prestigious Indian Football Association (IFA) Shield. With brilliant players like Hiralal Mukherjee, Bhuti Sukul, Sudhir Chatterjee, Manmohan Mukherjee, Rajen Sengupta, Nilmadhav Bhattarya, Kanu Roy, Habul Sarkar, Abhilash Ghosh, the team captained by Shibdas Bhaduri who played alongside his older brother Bijoydas Bhaduri, notched up one win after another, making it to the final where they were up against East Yorkshire Regiment, an elite branch of the British army. On July 29, almost 10,000 football enthusiasts lined up as the players took the field. The Indians were a match for the better trained British players in every way till Sergeant Jackson scored the first goal with just 15 minutes left for the final. Mohun Bagan responded with one of their own and then it was a fight to the finish. Post the success of Satyameva Jayate and after already working on Batla House, 1911 will be one of the most exciting projects coming out of the recently announced 6 film deal.